The best treatment for TMJ is the one that works for you to get rid of the pain. We will highlight some of the best products and treatments that are available now. Get relief from TMJ pain and get your life back to normal. The Temporomandibular Joint connects the jawbone to the skull. It is also a word that is hard to pronounce and hard to remember. Let’s just go with TMJ. This joint moves in three ways; up and down, side to side, and front to back and is the only joint in the body that depends upon surrounding muscles to determine its position. When it doesn’t function properly it sets off a chain of events that results in the pain that you are in right now. One in eight people are affected by TMJ disorder and it occurs mostly in women. Scientists are conducting studies to see if the disorder could be hormone related. The main causes are genetics, trauma, teeth grinding or clenching, and diseases such as arthritis. The misalignment of the neck, jaw or muscular structure surrounding the joint will lead to long term discomfort if not corrected. There are many symptoms to TMJ disorder. One of the most common is migraine or tension headaches that can be debilitating and stop you from working or even going about your daily activities. It is possible to overcome the symptoms over time without needing intrusive dental work or medical surgery but as with any other ailments it is always a good idea to get the opinion of your medical professional. The following products and treatments are affordable and could be a self administered solution. The Cradle was designed in California by doctors and dentists to bring relief to key areas affected by TMJ. It’s fabric is neoprene and it is soft and comfortable and can be worn during the day while you go about your daily activities or at night while you sleep. Get relief from migraine and tension headaches caused by TMJ using the hot/cold therapy of The Cradle. It has an adjustable medical grade Velcro strap for the perfect fit and comfort. Included are two complete hands-free cradles. The heat cradle goes in the microwave and the cold cradle goes in the freezer. Take them out and you will have hot/cold therapy for extended time periods. Because the fabric is neoprene you will have a soft and comfortable lightweight fit and it is no problem for sensitive skin. 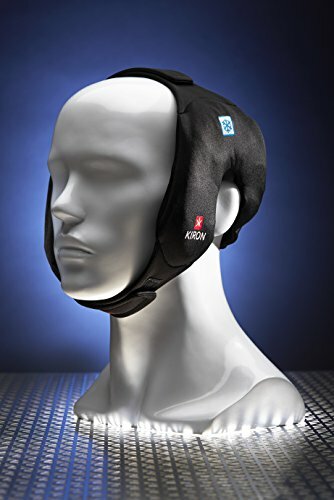 If you suffer from the symptoms of TMJ this is an affordable and comfortable product that can bring relief. The SleepRight Ultra Comfort Dental Guard could be a simple solution to stop you from grinding and clenching your teeth while you sleep. Teeth grinding and clenching are a major contributor for some peoples TMJ pain and discomfort. Clenching of the jaw causes headaches and these dental guards were designed by a dentist to protect your teeth and dental work from that. These ones don’t need to be boiled and they can adjust comfortably to all sizes. They are an inexpensive and non-intrusive treatment that could give you some relief. 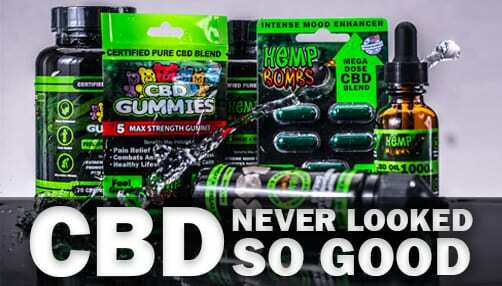 These are backed by a ninety day warranty and a thirty day money back guarantee. The Vimulti Natural TMJ supplement provides support and uses calcium to help your body reduce neck and jaw pain that is associated with TMJ. These are a ninety capsule pack made in the USA and a great way to assist other methods in your battle with TMJ pain. This jaw pain and bone health supplement works quickly to alleviate symptoms and is packed with Zinc Bromelain Calcium and Magnesium. Add this natural supplement to help in your fight against pain and joint discomfort. The Insta Cure pain relief pillow is one that can help with pain that is caused by pinched nerves, compressed discs, headaches and jaw pain from TMJ. It can be used in the car, at home and you can bring it when you travel. It is safe and easy to use to support your neck wherever you are. It has a money back guarantee and works by stretching your cervical region and relieving tension in your spine and nerves. Great for headaches and to relax your head, neck, and shoulders. This is a must read book by Cynthia Peterson that will help you in your battle with the pain associated with TMJ. It will help you to identify causes that contribute to neck pain, headaches and jaw disorders. Great tips on simple things that you wouldn’t think of yourself. Posture, habits and simple physical therapy for prevention and treatment could help you to avoid costly and irreversible dental or medical procedures. 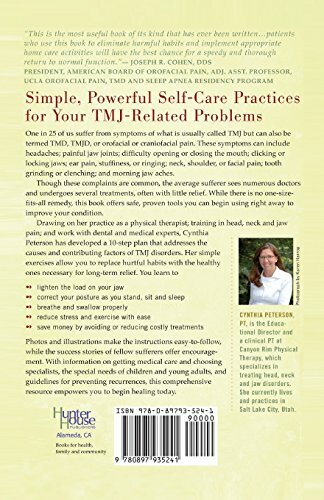 With over twenty years experience as a physical therapist the author is well qualified and explains a ten step process to help the reader replace damaging habits with healthy ones. This is a must read to put you on the path to recovery. With over fifty photos, illustrations and examples this book can be helpful to anyone looking for answers to end the pain of TMJ. Take a step in the right direction by trying some of these affordable and easy to implement products and ideas. It is always a good idea to get the opinion of a health care professional when you have painful symptoms that don’t go away.